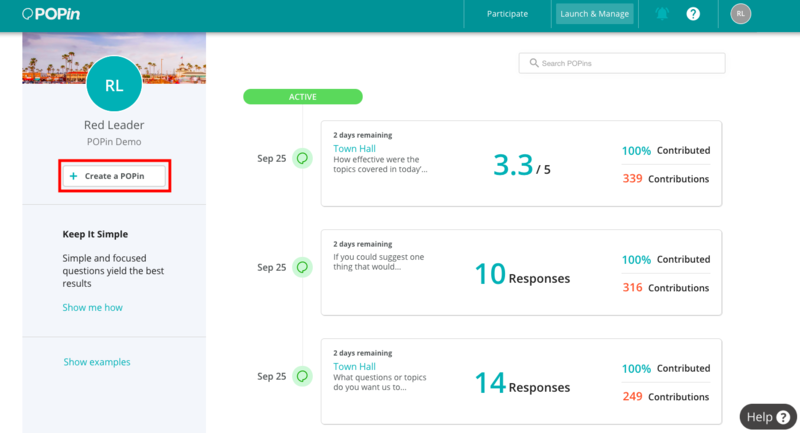 In addition to our open-ended, rating scale, and yes/no functionalities, POPin now allows you to create multiple choice questions to help you source valuable feedback from your team! 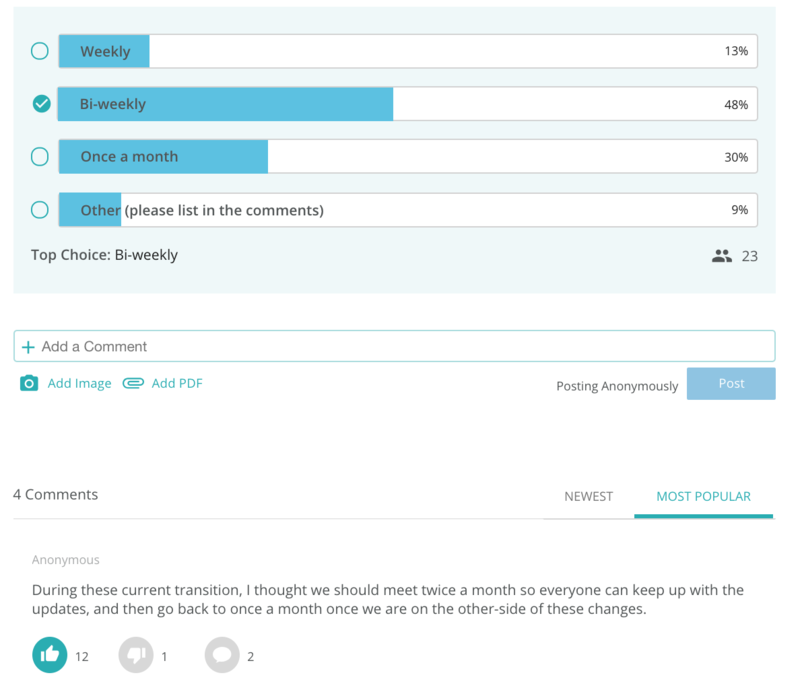 You'll be prompted to input your answer choices in the provided boxes. Select 'Add another answer choice' to create up to 10 answer choices per question; select the 'x' next to an answer choice to remove it. Did you know? After your POPin closes you'll receive a customizable report for your session! Want step-by-step instructions on how to create and manage a POPin? Check out our guide on launching and managing a session.